David and Elizabeth sit on the sidewalk with their dog Bridget. 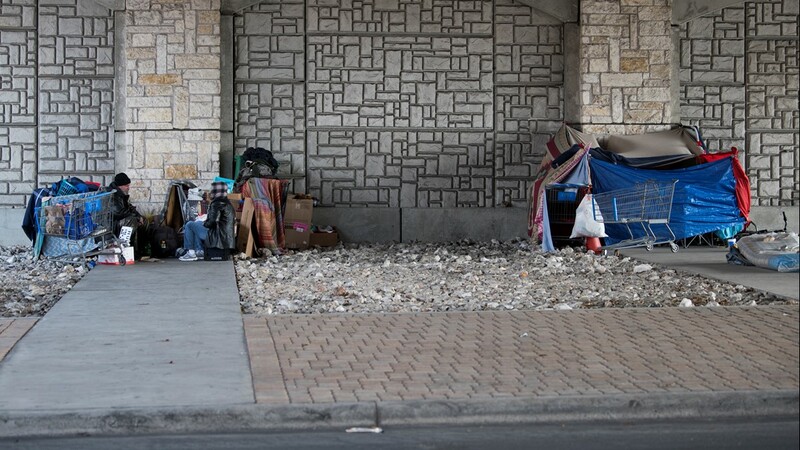 Homeless seek shelter under a bridge in Austin. 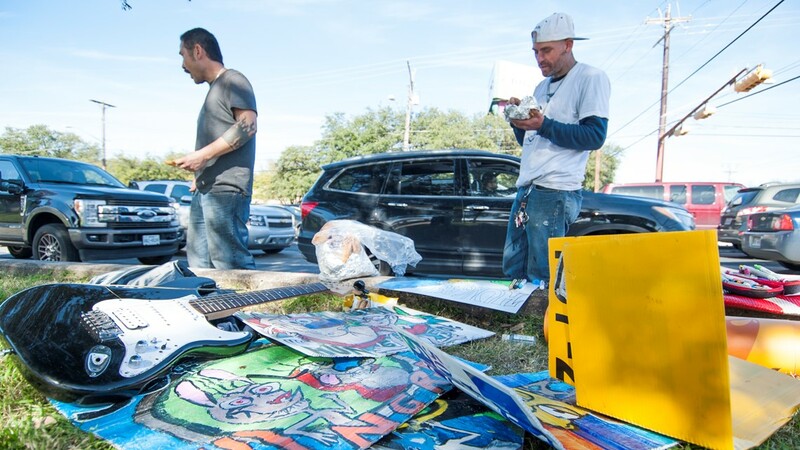 Surrounding them are the materials they use to make their own "home" on the streets. Larry, 37, is from Florida. 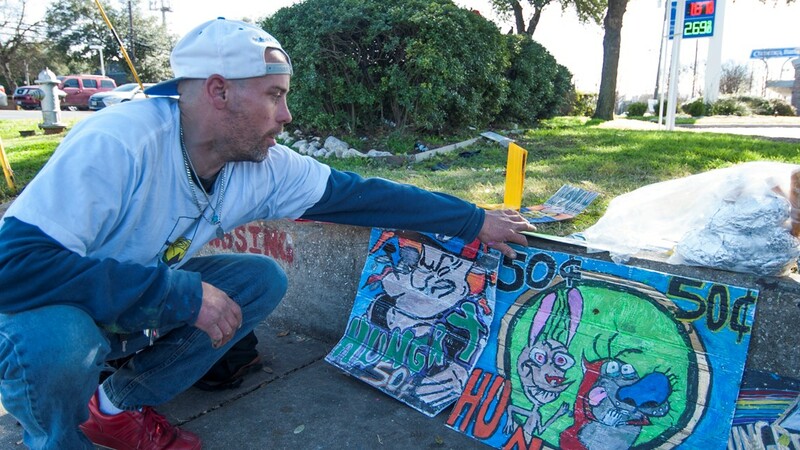 He's been in Austin for two years and became homeless after losing his job at a restaurant. He stands near MoPac. Trash along the curb following church under the bridge. You may notice the full trash bag. 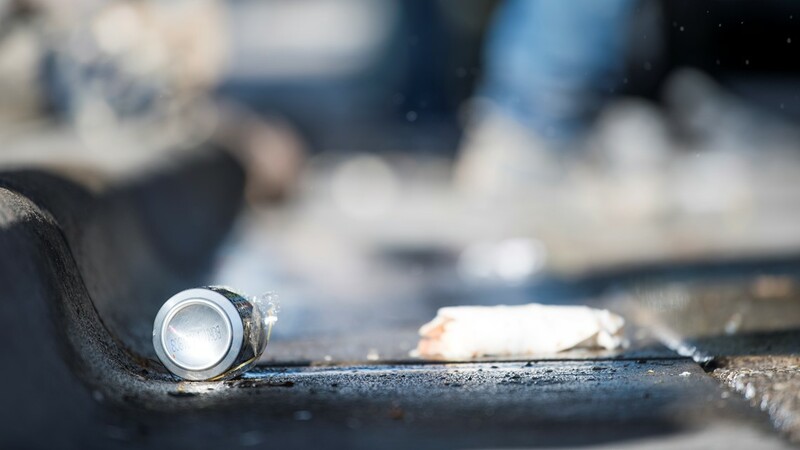 With more trash produced you can see the growing problem of homelessness. 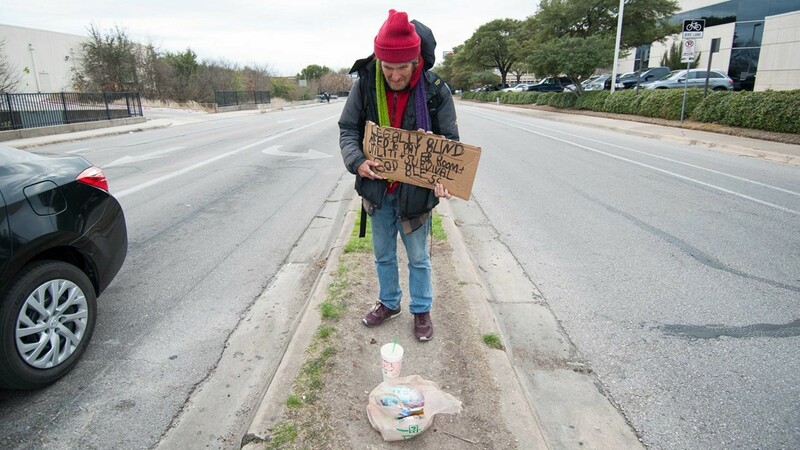 Rob, 28, is on Congress Ave. He's from Dayton, TX. His real mom abandoned him at a young age, but he found her in Austin. 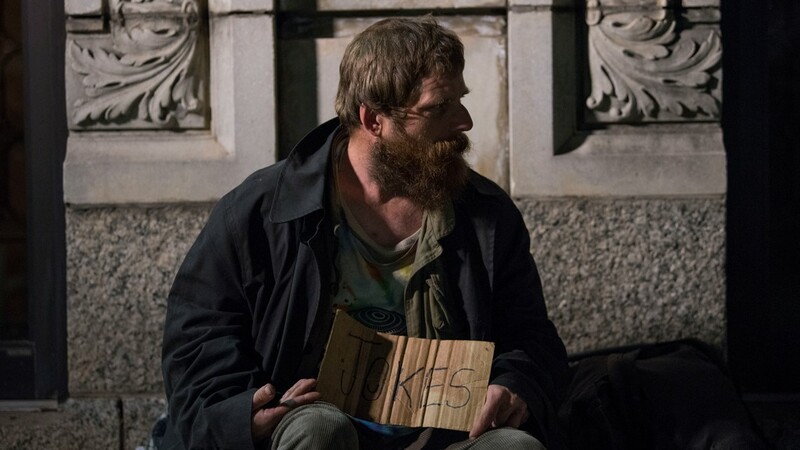 "I'm not looking to be homeless forever," said Rob. Christopher, 47, is from Nashville. He's been in Austin one year. He suffers severe depression, bi-polar disorder and schizophrenia. 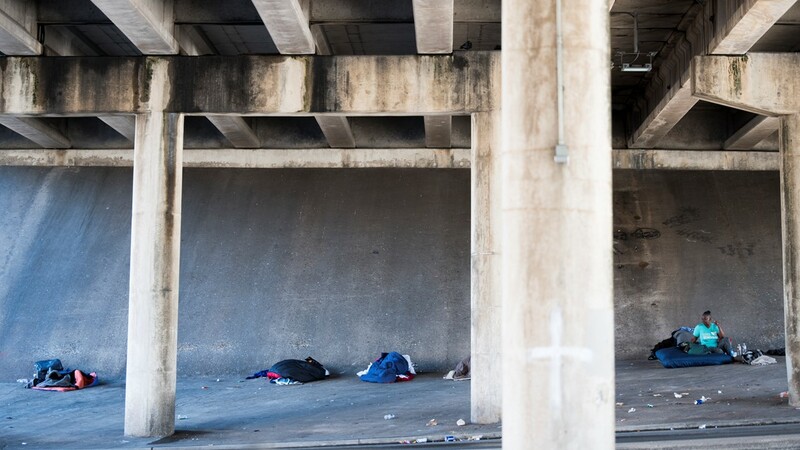 "I don't do well by other people's rules..."
Homeless sleeping under a bridge near where church under the bridge takes place. 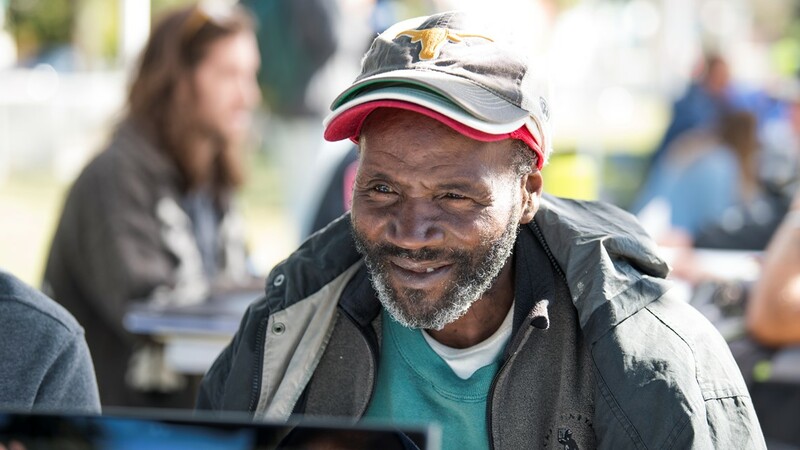 Church under the bridge is a weekly event where churches bring services to the homeless. Paul, 51, is from Abilene. Paul's been in Austin for one year. He's at Cameron Road and Hwy 183. 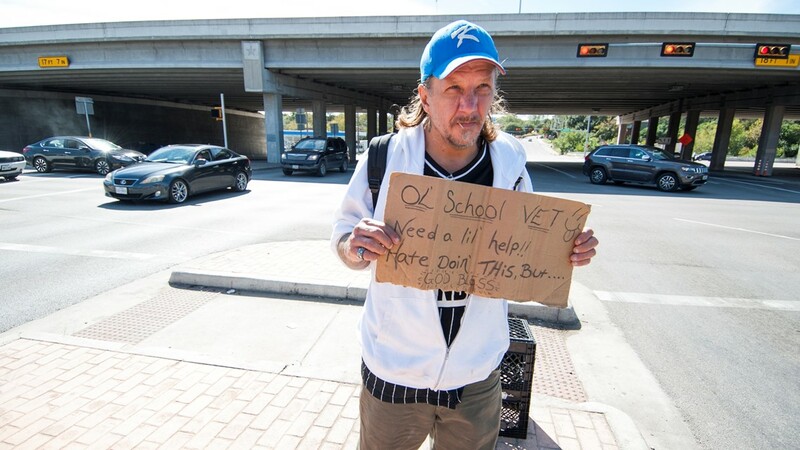 His sign reads "OL' School VET - Need a lil' help!! - Hate Doin' This, But. 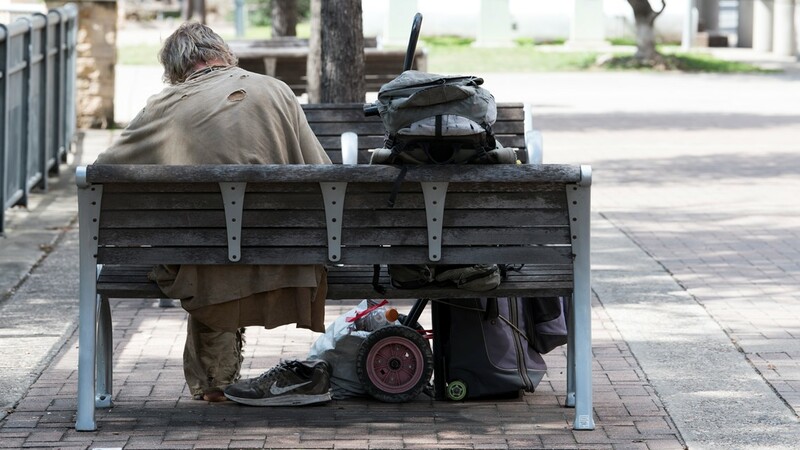 - GOD BLESS"
An unidentified man is seen taking a break on a bench along Cesar Chavez Street with his belongings beside him. Justin, 30-years-old, is from Tulsa, OK. 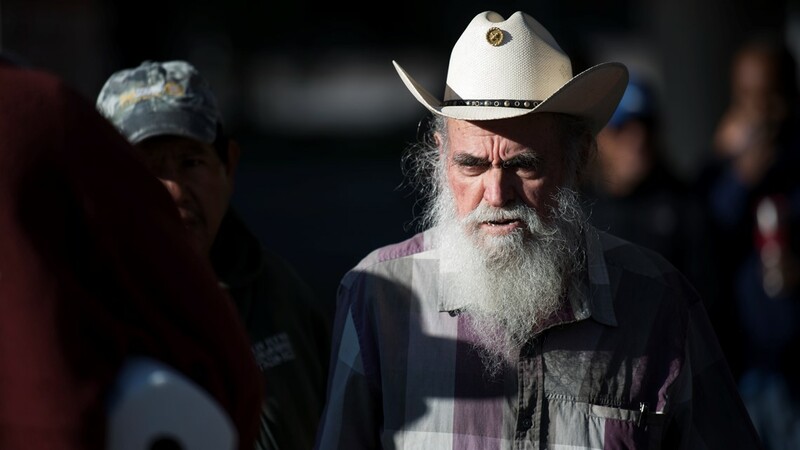 He's seen attending a health care fair held monthly for the homeless. 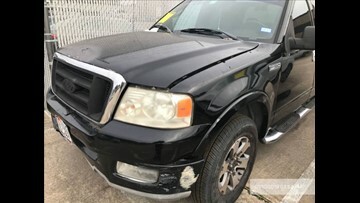 Frank, 47-years-old, is from Austin. 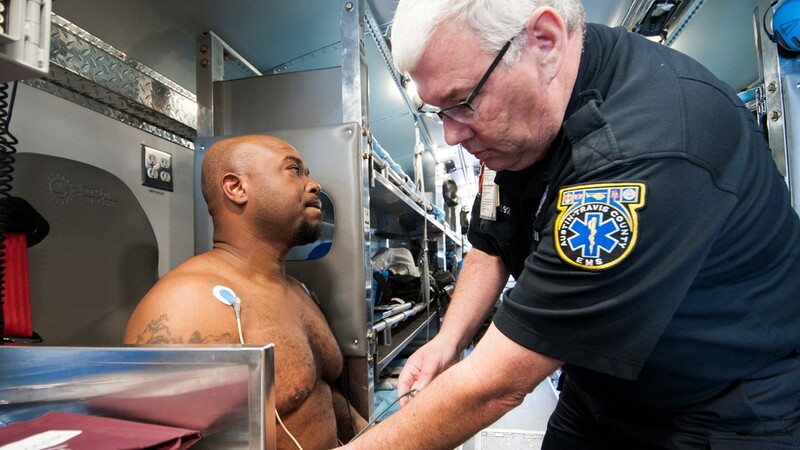 In this photo he is receiving an EKG. Roy, 56, is from Dallas. He sits with a smile on his face as he awaits medical care. Gloria, 58, is from Lawton, OK. She sits near Lake Creek Parkway. She's been in Austin four years. 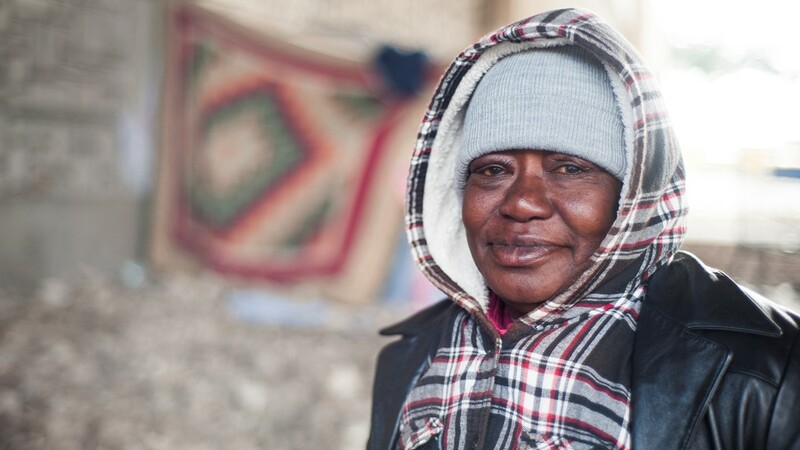 Gloria said she became homeless after she just gave up when her husband passed. 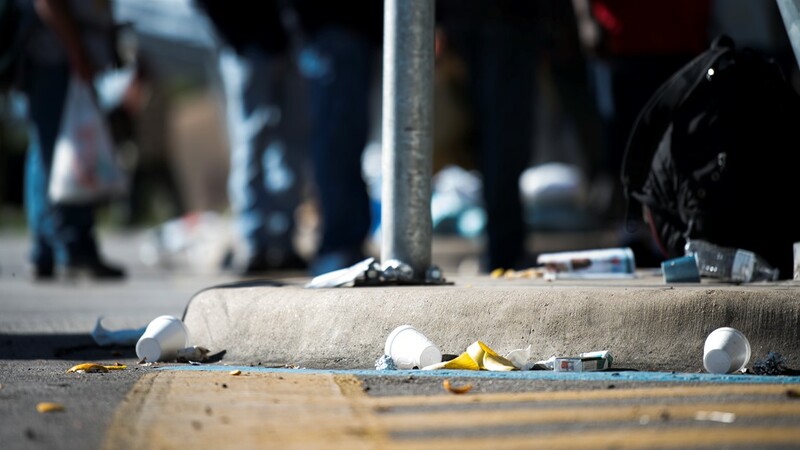 Trash left behind after church under the bridge in Downtown Austin. Brian, 35, is an artist. 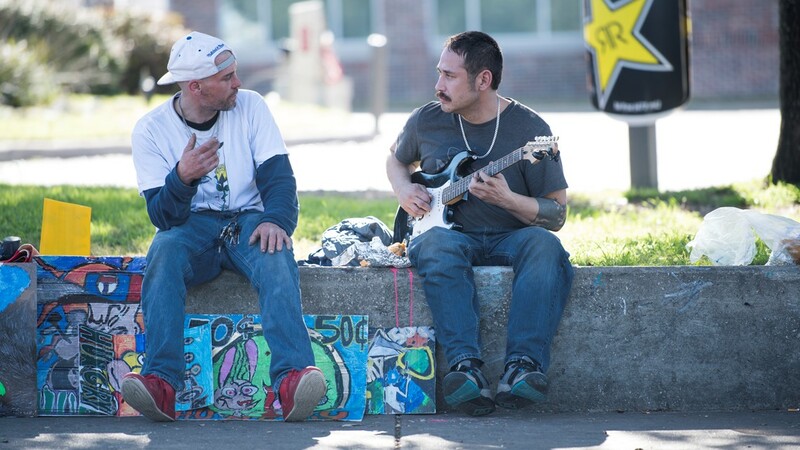 He sits on the wall next to his guitar playing friend Jason, 40. 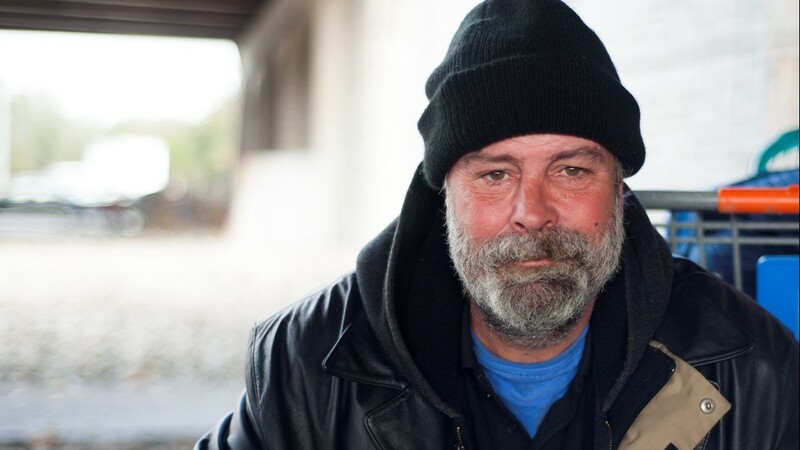 Jason is from Duluth, MN and is homeless by choice. He sits by Burnet Rd. He'd been in Austin one week when this photo was taken. He chose Austin to start over in a warm place. 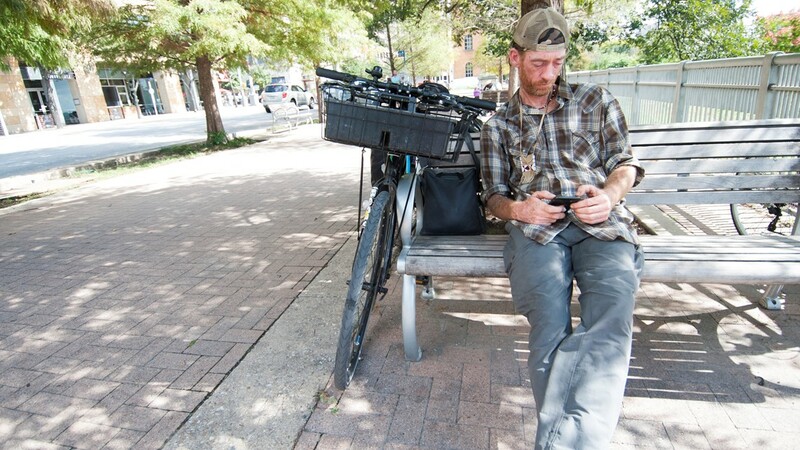 Brain, 35, is from Richmond, VA, but has been in Austin for seven years. 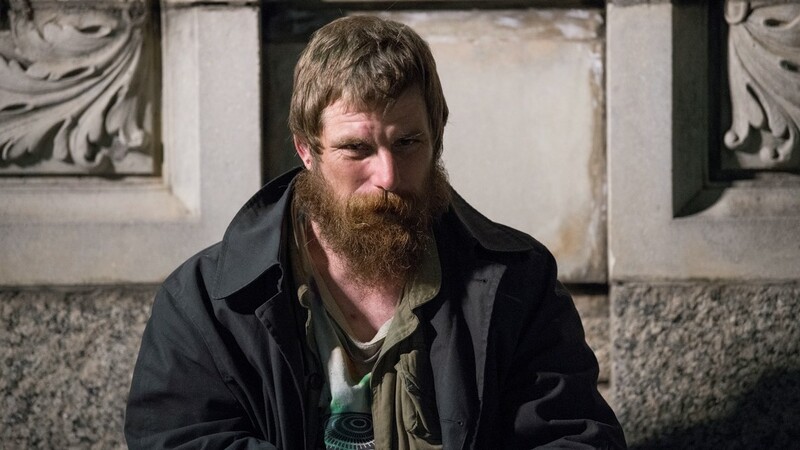 He became homeless after he got into a fight and got arrested. 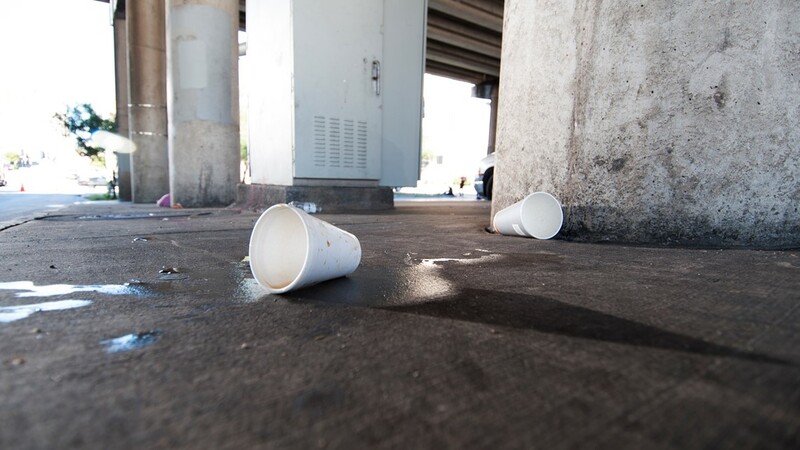 Cups left behind after church under the bridge. 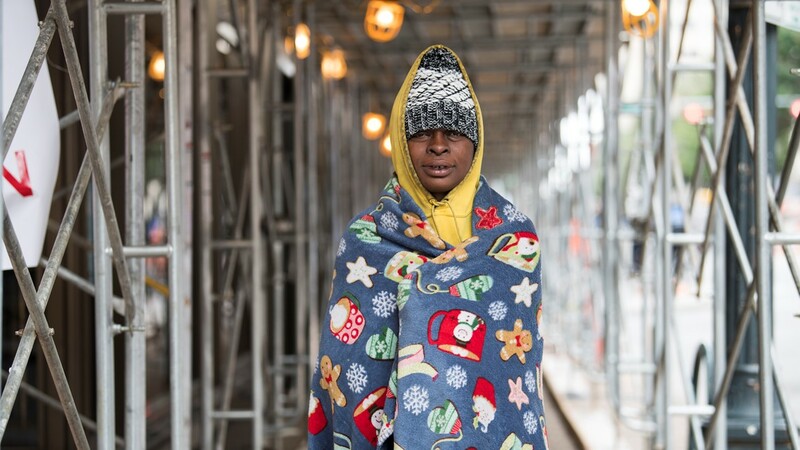 Tiffany, 32, stands near construction at Congress Ave. Tiffany said she has been homeless for three years. 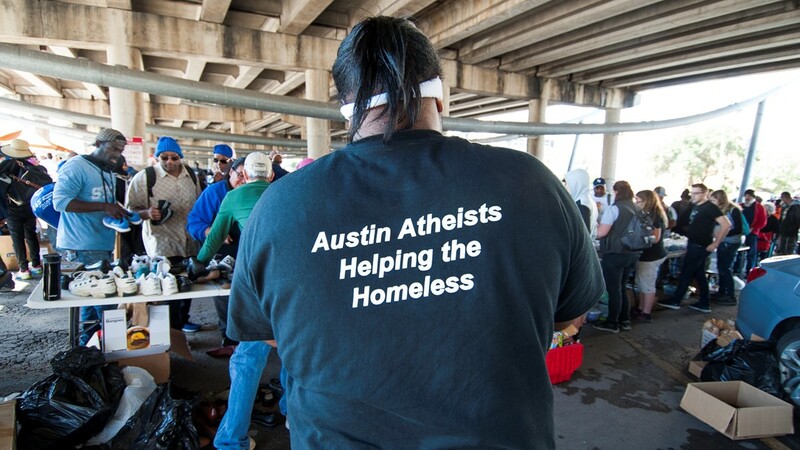 Homeless gather at church under the bridge, held weekly to assist those in need around the Downtown Austin area. 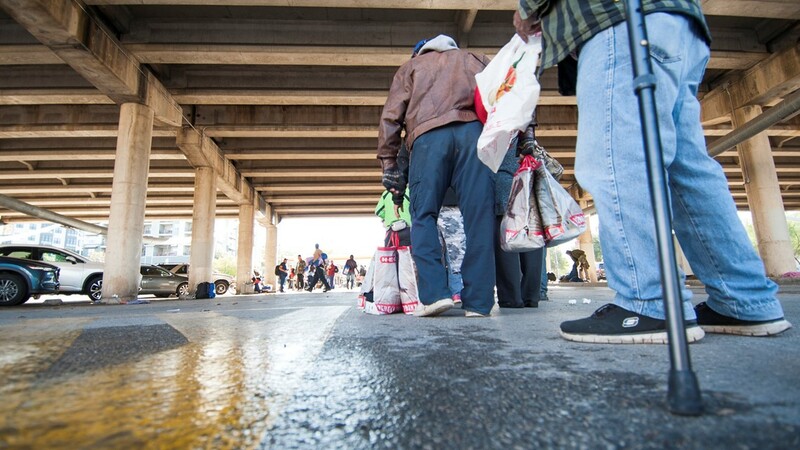 Different churches come weekly to offer services for a population of people in need under the bridge. 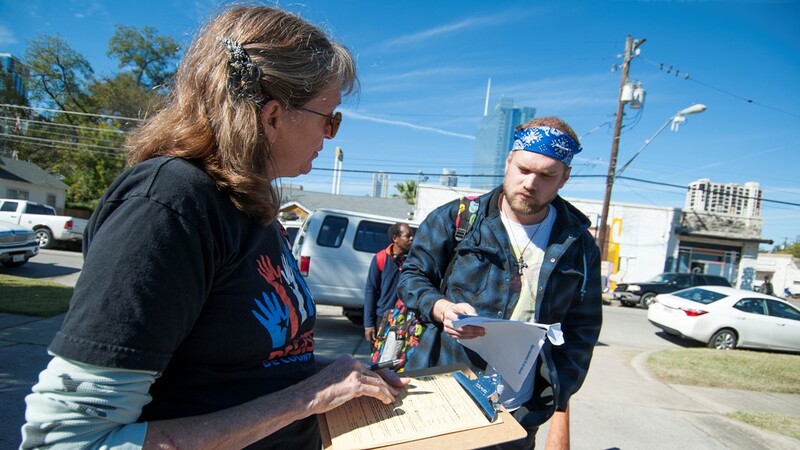 On this day, Christ Church of Austin was seen helping those in need. 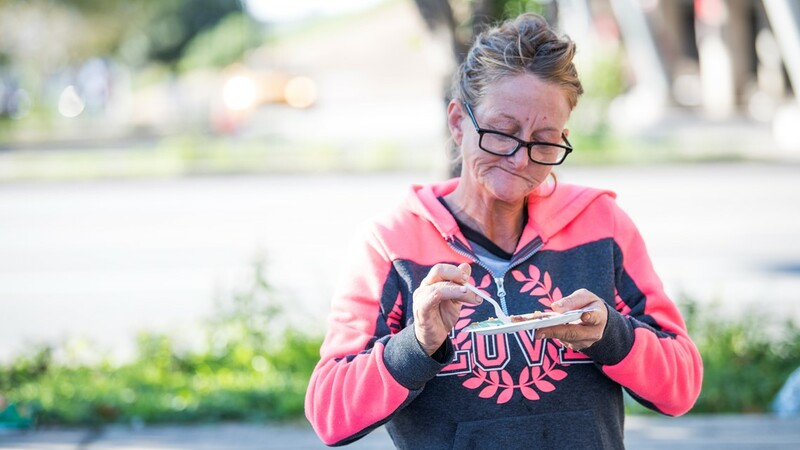 Leslie, 48, has a bite to eat at church under the bridge. She is from Abilene and has been homeless for 9 years. 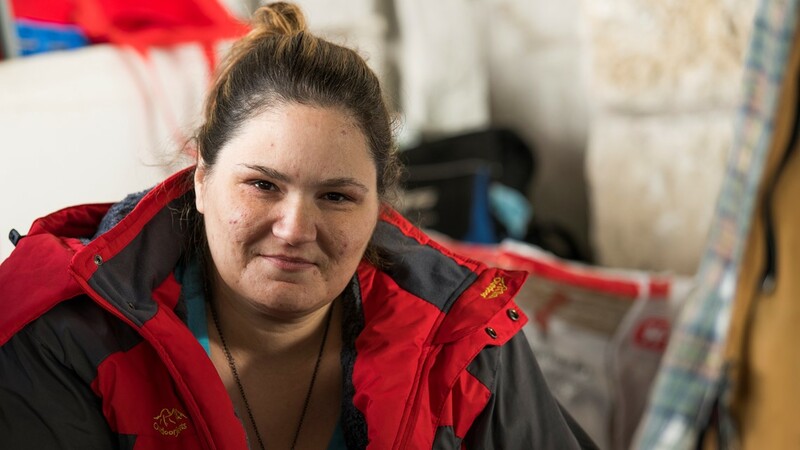 She is homeless because she has been unable to get a job. 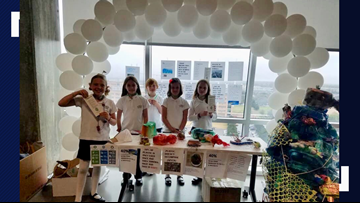 Church under the bridge hosted by Christ Church of Austin on Nov. 4, 2018. 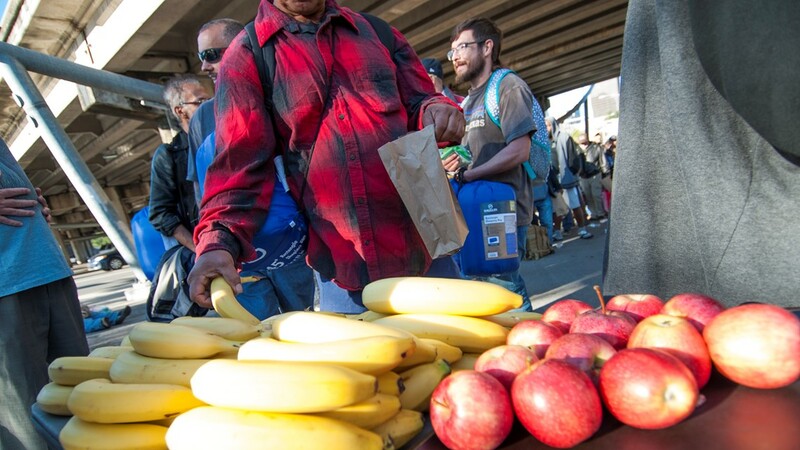 On this day, they served bananas and apples to the homeless. 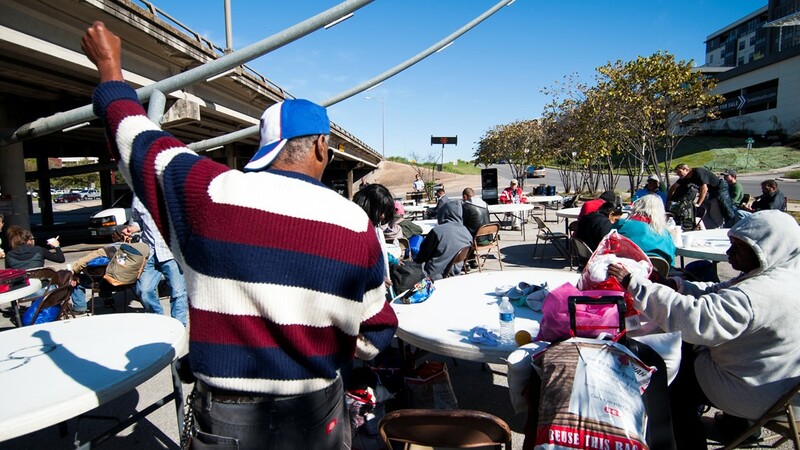 Tables set out for church under the bridge, where different churches come weekly to offer services to the homeless. 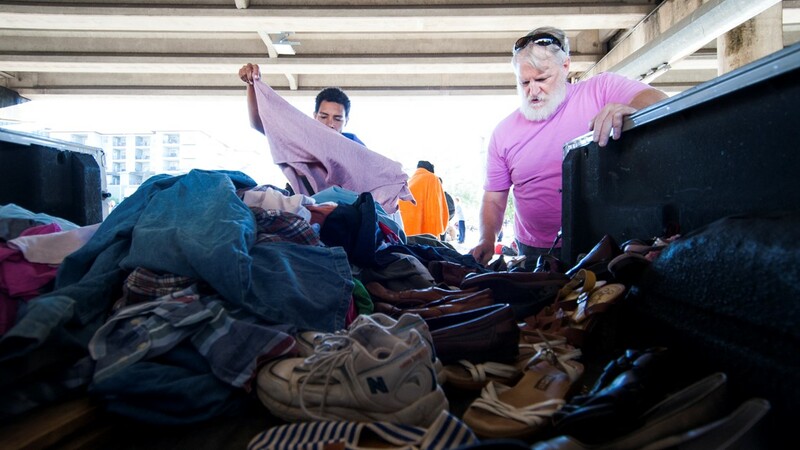 Trinity Methodist Church distributes donated clothing from the back of a pick-up truck at church under the bridge. 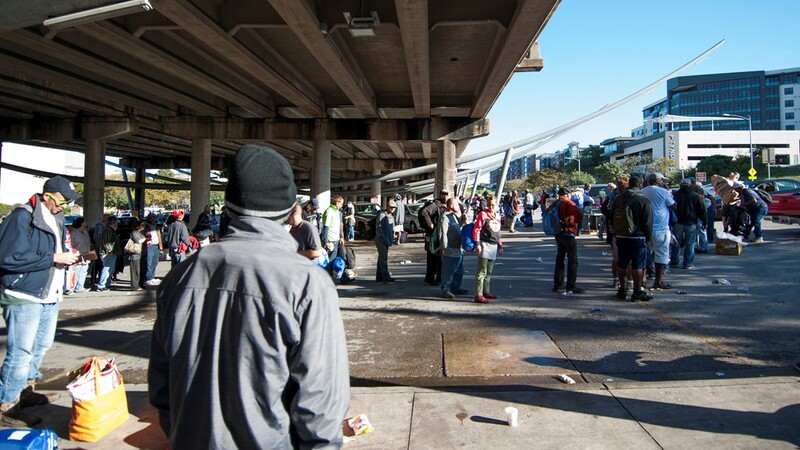 Church under the bridge is an event held weekly to help the homeless. It does not matter what church you are a part of, or your beliefs, all are welcome to come help those in need. Francisco, 84, is from Mexico and works at an apartment. He is seen at church under the bridge. 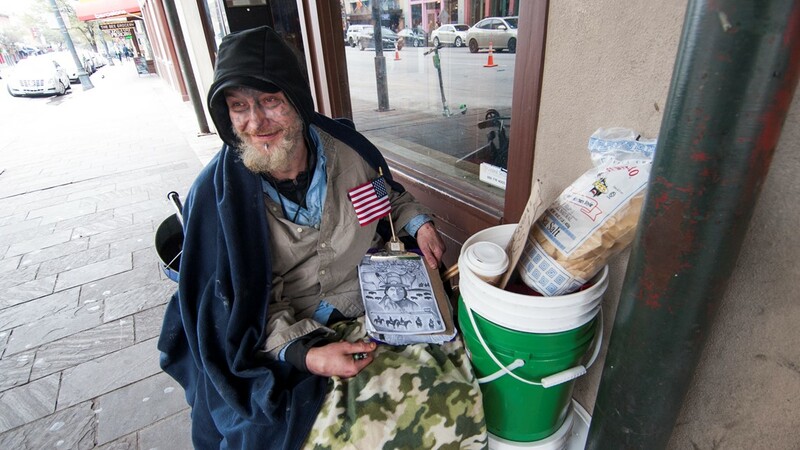 Mark, 62, flashes a smile to the camera on Sixth Street and Brazos Street, while he sits in his wheelchair. 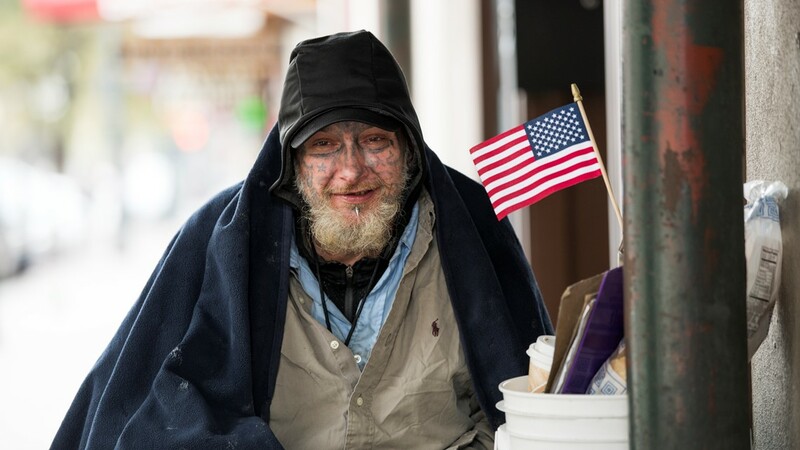 Mark is from Montana and has been homeless for 14 years. 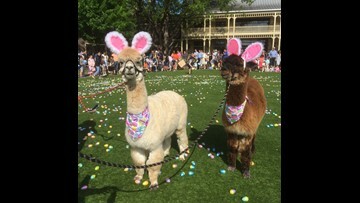 Mark came to Austin to stay with his half-sister, but she was into drugs and it didn't work out. He said he served in the army and was 'blown-up' leaving him bound to a wheelchair. Gunnar, 64, is from Norway and has been in Austin since 2004. He used to work at a national shipping and freight company. Gunnar's wife became seriously ill and around the same time he lost his eyesight. 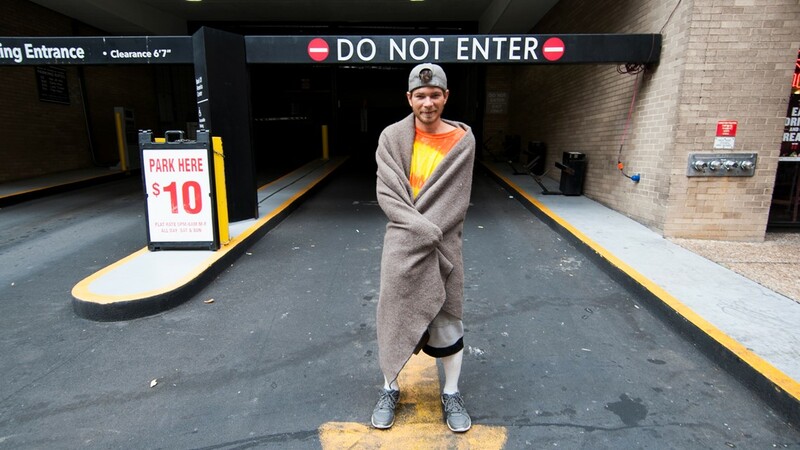 While in the hospital, they lost their trailer and had no place to go except the street. Gunnar's eyesight is 70% gone. "I pray for everyone who gives me money," said Gunnar. "Even if it's only 2 cents... I pray for them." Gunnar stands at Anderson Lane. 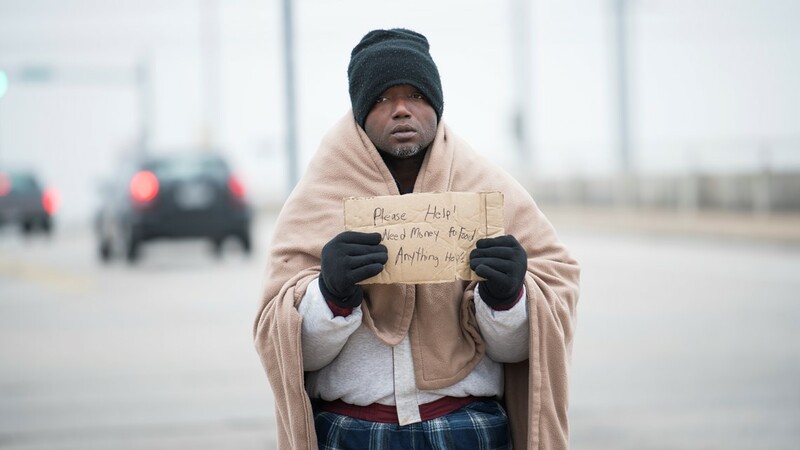 Ray, 31, stands under the U.S. Highway 183 overpass at Cameron Road. He is from Long Beach, CA and has been in Austin for six years. Jason sits on a bench next to his bike. He came to Austin from Dallas. Floyd, 62, is from Austin. 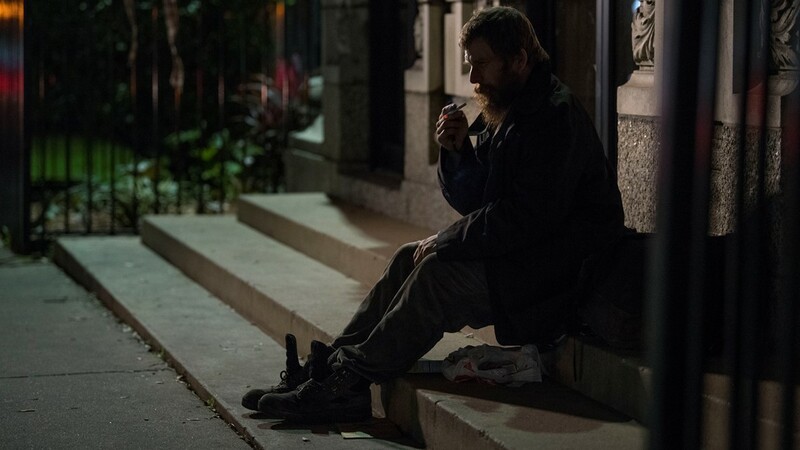 He became homeless after he had problems at home and developed a drug problem. "It's scary out here," said Floyd. Floyd stands near Red River St.
Kim and Ken are a couple living on the streets of Austin. Kim is a UT grad from Houston. She's been in Austin 10 years. She worked as a live-in home health care worker. Ken is from Portland, OR and has been in Austin for two and a half years. 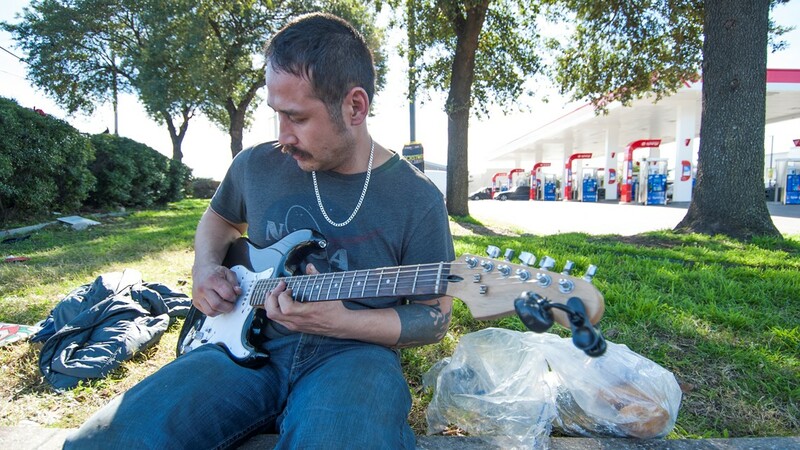 He lost family members and a job didn't work out, stranding him in Austin. 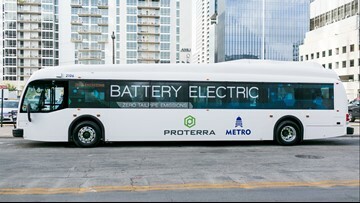 The couple met in Austin. 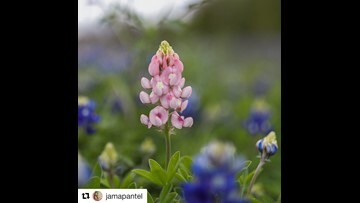 Jennifer, 40, is from Houston and has been in Austin for seven years. She said, "Best to get away from my family. Lots of problems with them." She sits at Lake Creek Parkway. Lucky sits on steps outside of a building at Guadalupe Street and 22nd Street. He came from Tulsa and has been in Austin for three years. 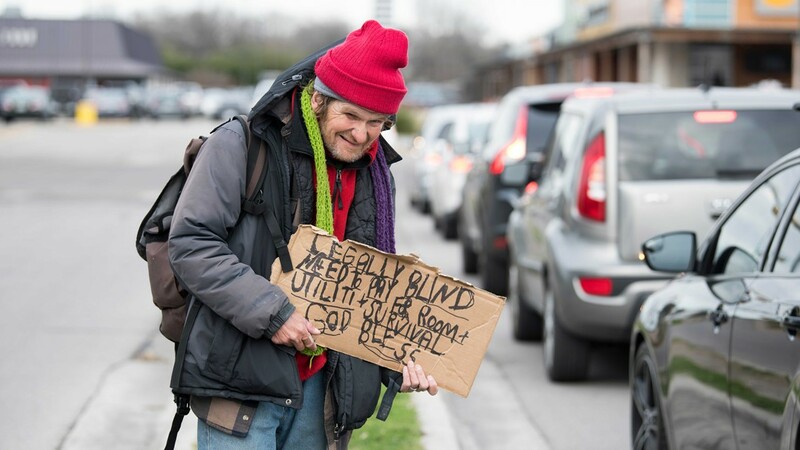 Lucky has been in Austin for three years, but has been homeless for 18 years. 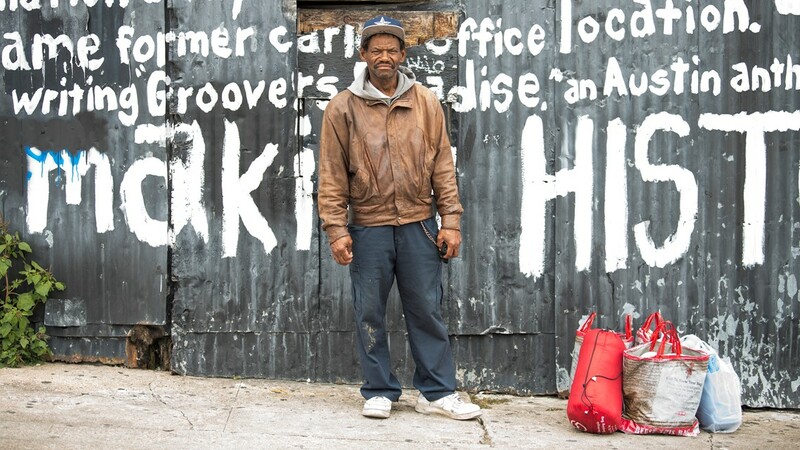 Lucky became homeless after he lost his job and could not afford a place to rent. "Not all of us are dangerous people, but we can be..." said Lucky. "We have to protect ourselves." 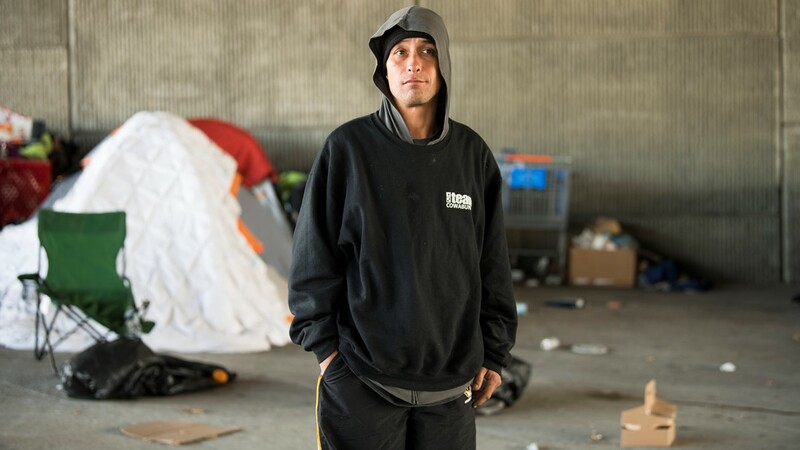 Shane, 30-years-old, sits at his homeless camp under Ben White Overpass at Frontier Trail in South Austin. He said criminal activity prevents him from getting a job. 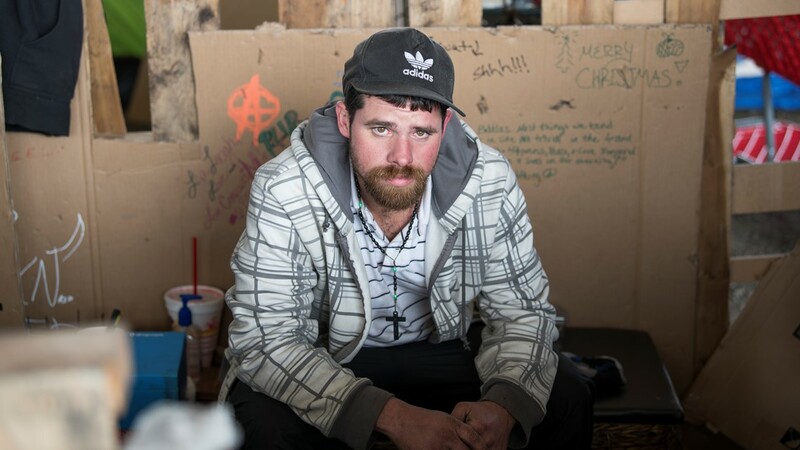 Shane sits at his homeless camp with his friends "Chuco" and "Irish" while an unidentified man sleeps in the background. 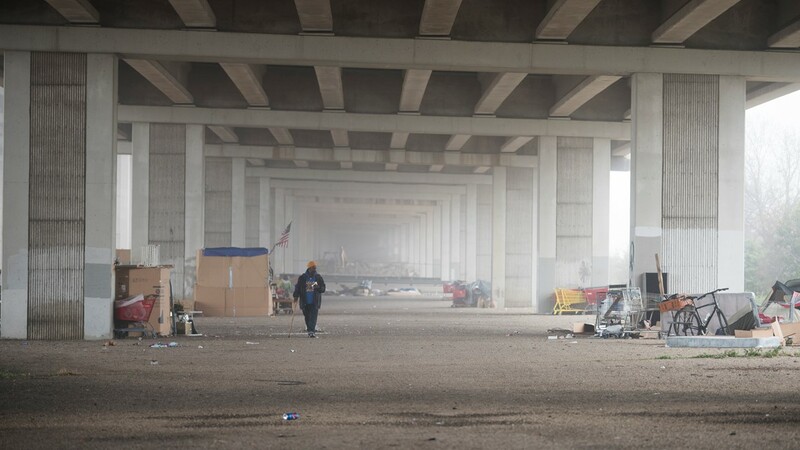 Homeless camps under the Ben White Overpass at Frontier Trail in South Austin on Dec. 25, 2018. A friend of Shane stated, "Most of these people don't even know it's Christmas."